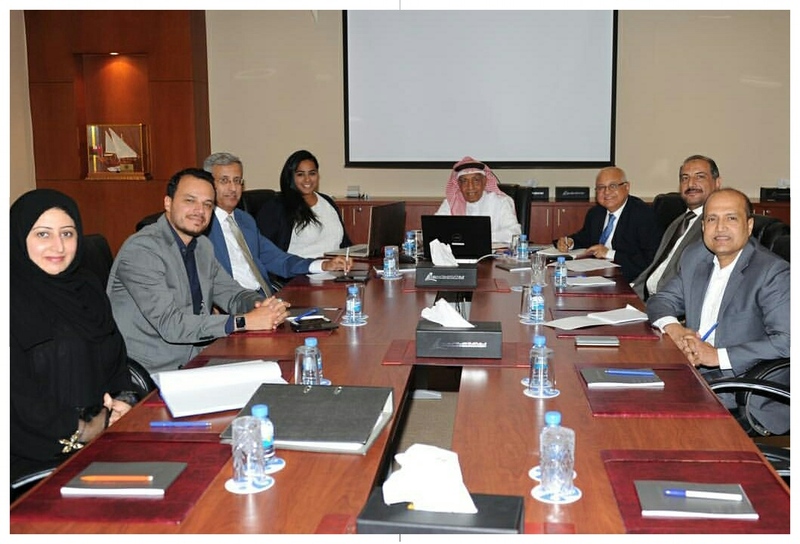 The Bahrain National Committee of the International Chamber of Commerce (ICC)-Bahrain has recently held its General Assembly Meeting where its board of directors was elected. The new board is headed by Mr. Rashid Ebrahim as Chairman; Mr. Ahmed Al Thukair, Co-chairman and Head of ICC-Bahrain Lawyers’ Committee; Mr. Pradeep Taneja, Co-chairman and Head of ICC Bahrain Trade and Finance Forum; Mr. Mohammed Al Gassab, Treasurer; and the following members Ms. Elham Ali Hasan, Mr. Gaby Elhakim, Ms. Aysha Mutaywea, Ms. Amel Al Aseeri, Mr. Merwin Palanna, and the committee’s coordinator Ms. Ameera Al Ta’an. During the meeting, the chairman stressed on the importance of expanding the platform of members and reinforcing the committee’s financial resources to enable it to achieve its goals. It is worth mentioning that the International Chamber of Commerce-Bahrain was established in 1999, and is part of the mother International Chamber of Commerce located in Paris. It is a leading organization in devising standards and non-binding regulations in international trade. In addition, members of the International Chamber of Commerce-Bahrain may take part and benefit from the array of programs organized by the mother Chamber in Paris.